F, L, M, N electric trolley stop at corner of Market Street/Noe1 1/2 blocks from 24 Divisadero bus stop at Castro/Market. Finn Town is happy to cater your offsite event with a full range of passed apps and buffet table options. Our chef has extensive experience serving groups as large as 1000. 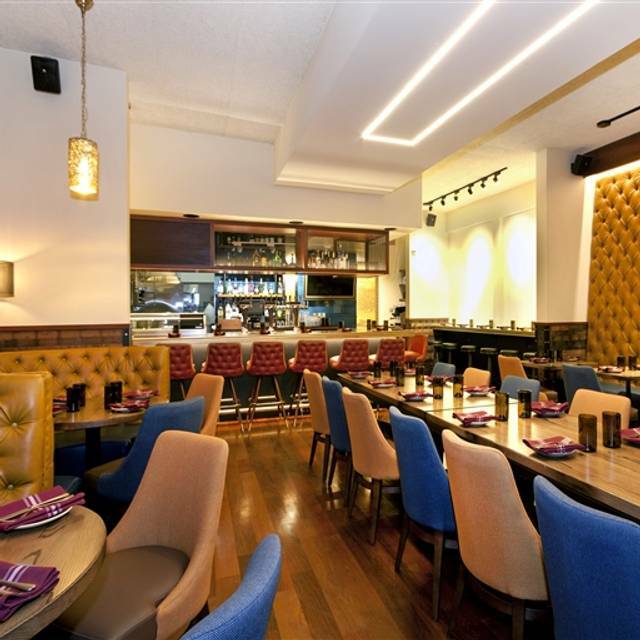 Please email parties@finntownsf.com to provide more details so we can offer a quote or visit https://finntownsf.com/private-parties/ where you can fill out an inquiry form. Finn Town is pleased to host large groups of 20-120 in a semi private area of the restaurant or for a full buy out. From standing receptions to seated brunch or dinner get togethers and private late night "Club Finn" options, we have all your entertaining needs covered - and two bar areas to serve you. Set menu packages or custom designed offerings to meet your special needs are available and we are happy to arrange for specialty cakes, audio visual and decorations. 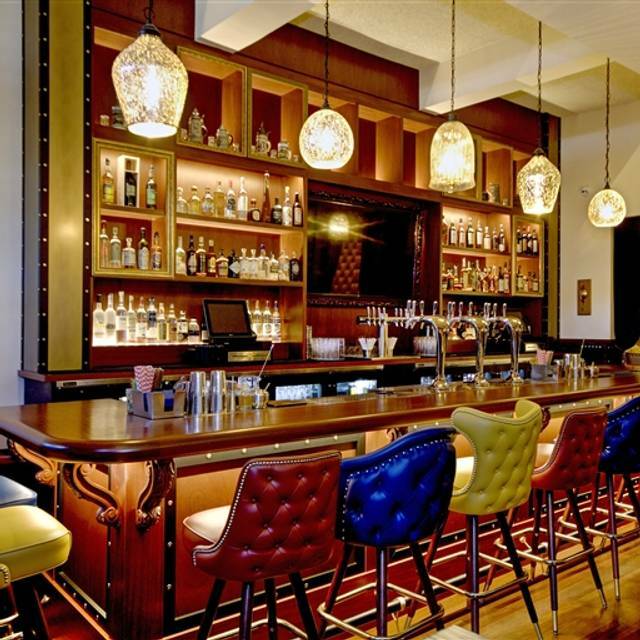 Please email party@finntownsf.com to provide details so we can offer a quote. Or visit https://finntownsf.com/private-parties/ where you can fill out an inquiry form and download our Group Dining packet. A distinctive Tavern with a Twist in the historic Castro district, Finn Town has been an instant hit since it opened in late 2016. From Best Burger and Best Brunch inclusion on several press lists to coverage on KQED's Check Please! TV show, Finn Town is known for its contemporary American comfort fare, distinctive craft cocktails named for San Francisco celebrities, and a colorful, upbeat ambiance that serves a diverse clientele. 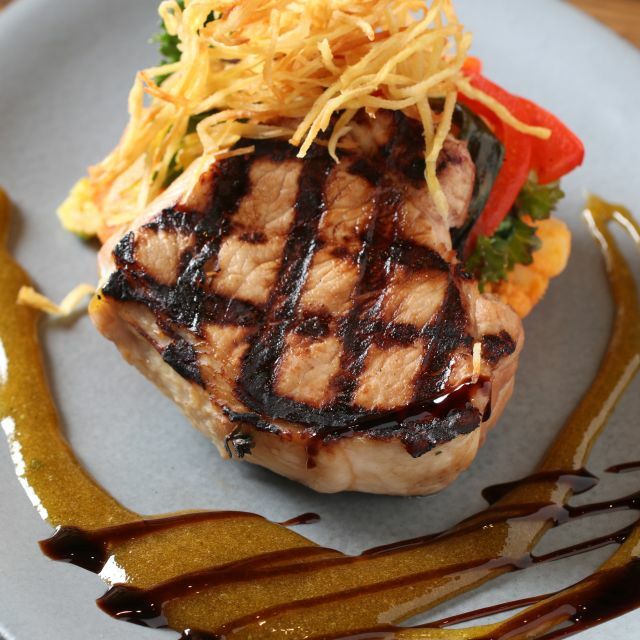 Only a 12 minute ride from downtown, Finn Town is easily accessible via public transportation for Dinner, Brunch on Saturday and Sunday and Happy Hour with a full Bar Bites Menu. Large Groups and Private Parties are easily accommodated in our front lounge or main dining room. Monthly special events include charity dinners, television watch parties and holiday themed menu offerings at affordable prices. Our Happy Hour from 5-6:30 weekdays just got happier on Wednesdays when we are featuring 6 oysters for $7 along with the rest of our Bar Bites menu. Pair it with a glass of wine for $7 or a crisp draft beer for $5 for a refreshing after work reward. The early bird catches half price mimosas in 5 flavors and $7 finnfully good Breaksfast Bites from 10am to noon every Saturday and Sunday. Say Salud! starting at 10am with half price mimosas in 5 flavors & $7 Breakfast Bites. Chef's brunchworthy specials include a holiday hash, omelette and flatbread ( good for sharing). From 3:30-5pm all tequila and mezcal well drinks will be $7 and churros and themed movies will be playing all night. 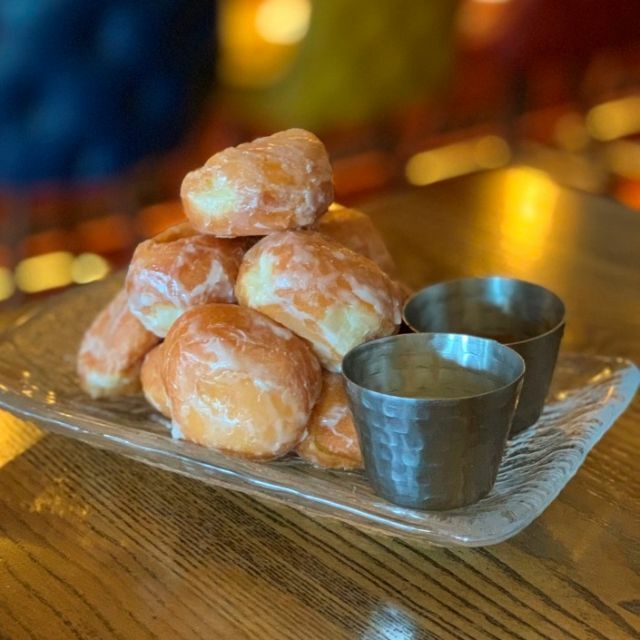 Treat Mom to an only in San Francisco ambiance, along with her choice of 5 flavored mimosas ( half price by the glass or pitcher from 10am- noon) , brunchable craft cocktails, 4 kinds of Eggs Finnedict, Donut Holes with 2 dipping sauces and our new entree salads , among the many delicious options. Easter Brunch was delicious. This place is adorable & so is the staff! Enjoyed the experience and the staff were lovely. They did get one of our orders wrong and it was a circus trying to get it corrected. I would recommend Finn Town Tavern if you are flexible and understanding. Relaxing friendly upscale bar restaurant. Our only issue was that they had difficulty coping with my wife's fish allergy. When checking out the menu while booking I only saw two fish items. When we ordered I asked how they cook their french fries. Same oil as the deep fried fish. I ordered the broccoli appetizer. When it came they admitted it was deep fried in the fish oil. The waiter suggested the spinach dip as an alternative. It came with deep fried onions on top! They need to do some allergy training with the staff and need to get a second frier. Attentive service with delectable eggs & bacon dishes. Good vibe, strong food, and excellent Chelsea the server. We dropped in before seeing a movie, and were extremely well looked after by our server. 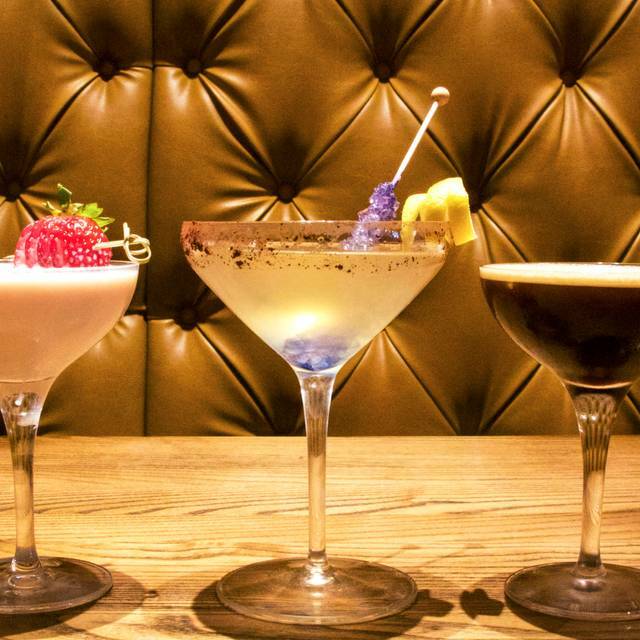 We enjoyed great cocktails, good food and a comfortable, convivial atmosphere. I love this place and have been many times, I even had my birthday celebration there with friends. But Friday evening was not up to par. First I booked the counter/bar and it wasn’t set aside for anyone. Was this open tables error or Finn town? I dont know. Then they were very short staff. Too long to get drink orders and food orders? One couple left since they’d only gotten water. Then it seems to be a new practice giving you the bill without showing what you were charged for! Is it correct? You’ll never know. I was disappointed. But will likely go again. The food is great and the bar staff friendly and helpful. Everyone has an off night it seems. I am so pleased I found Finn Town on Yelp. The food was phenomenal, the service and chef went above and beyond and the atmosphere was welcoming. It will be a meal we won't forget! Elegantly appointed restaurant with really good background music. Terrific service & delicious food. We'll be back! 1. The restaurant only had one menu for the 2 of us to share. 2. Our waiter came over 1-2 minutes after we sat down asking us what we wanted. We asked for another couple of minutes since we were sharing the menu. 20 minutes went by and he never came back. The waiters busboy or assistant then came over asking what we wanted. 3. I ordered the goat cheese scramble with tomato. The dish was very watery due to having too many tomatoes in the dish. There was also no goat cheese in the dish. I’ve been to Finn Town in the past and liked it. This visit was not good. Gotta say, this was a big disappointment EXCEPT for Claudio, one of the servers, who was a delight. We'd eaten brunch here before and enjoyed it--especially appreciated the mix of vegetarian, vegan and carnivore possibilities. We had a reservation, got seated promptly and then everything fell apart. Service to take our order was slow, numerous people approached the table with water/menus/to check in, yet no one was the server who takes the order. When we finally ordered the food from a seemingly semi-distracted server, it took a super long time to come, and was cold. They replaced some of the cold food when asked--and at the same time, we were so hungry that we just wanted to eat. My cocktail sounded good, though it was fairly flavorless. Claudio was amazing, cheerful, helpful, attentive--and those nails! We were early for our reservation and they seated us early, so bonus points for that. We ordered 2 of the specialty cocktails, and they were DELICIOUS! I highly recommend the Celebutante cocktail. 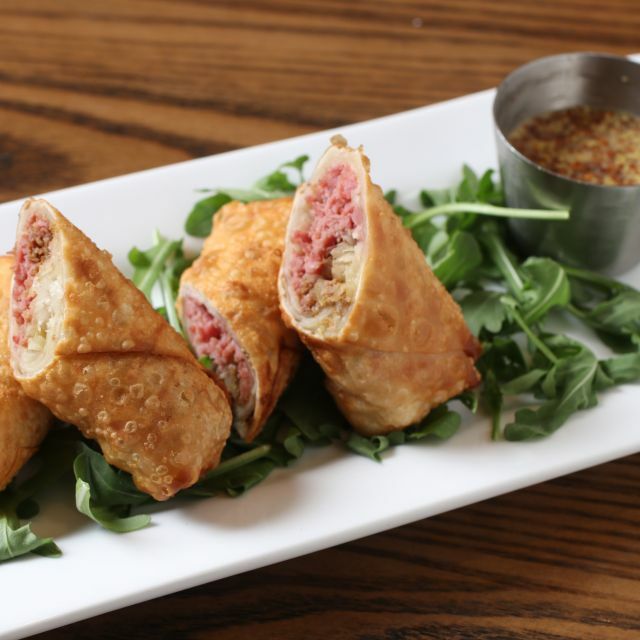 We had brussel sprouts (good) and the rueben egg rolls (just ok). For dinner we had the Finn Town Burger (good) and the braised short ribs (yummy and tender). The food was just ok. The service was excellent. Great spot to catch up with a friend. Great ambiance, good comfort food, and reasonably priced happy hour menu. We really enjoyed it! As usual! Excellent food in a delightful space. Attentive service made for a relaxed and enjoyable dining experience. The whole menu is appetizing and there aren’t many dishes I would not wish to try. Food was really good. But at these prices I expect better service. Our server was bored, no eye contact, no connection, no caring. Our order was brought out wrong twice. It's a favorite of mine and all of my guests had never been. We enjoyed it. Came to the City looking for a brunch place that was close by and didn’t have a super long wait. Quick service and friendly staff. The burger is GREAT!! The non-alcoholic drink options were a bit syrupy sweet. Food was alright. Nothing special. Service was lackluster. We felt forgotten about. The kitchen was very backed up so the pacing was also off. Arrived a little early for our 7:30 reservation, they could actually seat us right away, off to a great start. Unfortunately, that was the end of the good experience. We sat down and received menus and immediately a server came by to ask us if we wanted anything to drink. We hadn’t even had 30 seconds to look at the menu and asked to have a couple minutes to figure it out. Sooooooooo we sat there for a long time waiting for someone to come back. The person who initially came by seemed to be ignoring us. Finally someone cane by and took our order for two glasses of wine (which they have on tap, so easy to get). We sat waiting for more than 10 minutes for wine. Finally, I guess noticing the impatience on our faces, a third person stopped by to ask if we needed anything. We said we were waiting for a couple glasses of wine and would like to place our order. He said he could take care of both those things. Hungry and at the end of our patience we literally have to go find a server and ask them to cancel the food order and bring us the check for the two glasses of wine, as we were going elsewhere. There seems to be a lot of confusion and gathering around the point of sale system, but finally a check appears and we pay. As we are gathering our things to leave, the new executive chef comes by. He says our order was never in the system and offers to comp our meal. At this point, we were kinda done with the place, but after more discussion and a promise that we would get something to eat (our appetizer) quickly, we decided to stay. The food did appear quickly then and was alright. 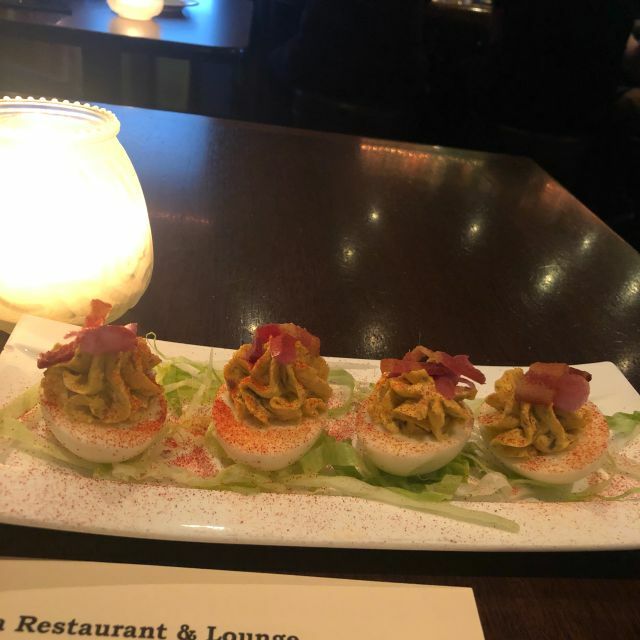 The food was good, especially the deviled eggs and the cocktails were great. 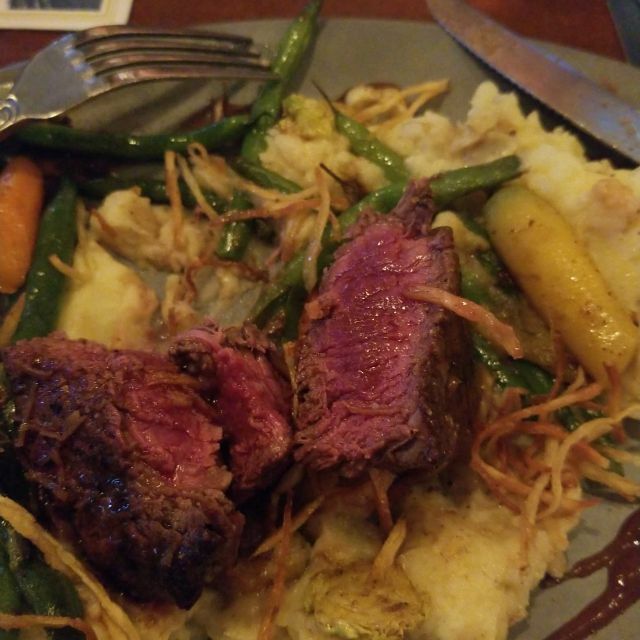 However, I ordered the steak as the entree, ordered it medium, but ended up sending it back twice for being rare, by the third time it came back rare again. Just ate it after that. If you can't do a steak to order, why do you ask how does a customer want a steak? Taste of the steak was good, but Finn needs to train their cooks on how to cook a medium steak. We reserved a table or 8 and enjoyed brunch/lunch at Finn Town on Sunday. Everyone from Oscar to Kelly was absolutely fantastic service-wise. They made us feel welcome, offered suggestions for tasty dishes, and went above and beyond to make our double bday celebration festive and fun (necklaces for St. Patrick's Day? Sure!) I split the Huevos Rancheros (recommended by Kelly) and Breakfast Sandwich with my friend and both were excellent. Pomegranate-blood orange mimosas = yes, please! We had a GREAT time and the food was fantastic. THANKS, FINN TOWN! We waited over 30 minutes before getting up and asking the host to help us get a waiter to take our order. At 40 minutes I finally got a waiters attention and by then all I did was ask for our check for the drink I order since I was early for our reservation. We were only able to place the one drink order when we were first seated, but one of our party was a few minutes behind and never even got to place a drink order. I’ve eaten here 5-6 times in the last few months and have always had a great experience... the service was just WAY off tonight, and I don’t see myself going back. I have been going often and this experience was awful! Service and food. My huevos rancheros day I the window so long they go cooled. It was horrid! 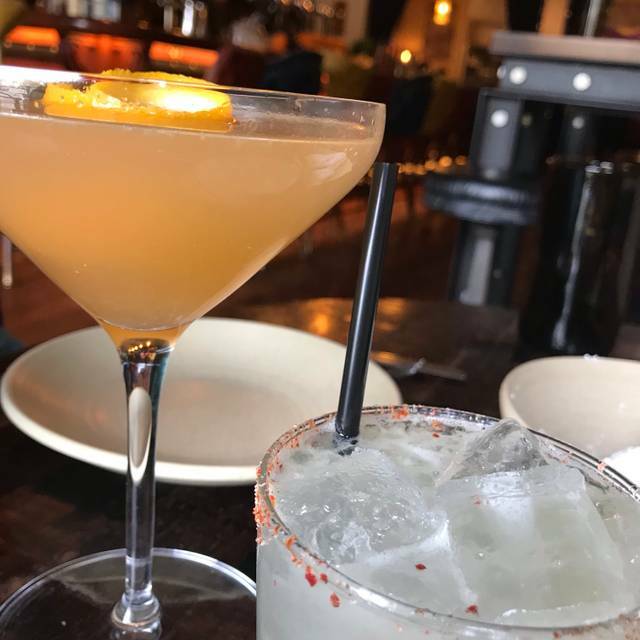 Excellent brunch, fun vibe, good food and cocktails. The chef came out and chatted with us, which was a nice added bonus! Finn Town Tavern is always a fun and pretty place; but the food has declined over the last six months. I like it when a restaurant changes its menu, occasionally offering something new. This time the change was a disappointment. The Brussels sprouts were the best that I've tasted in San Francisco; and they were gone, along with the crock of melted cheese appetizer I'd previously enjoyed. Gone too, was the daily special. That left a fried chicken sandwich that my table contained ordered and thought mediocre, several beef dishes and the only fish, salmon. I ordered the linguine with mushrooms and added chicken. It was a gloppy, clumpsy thing, ladened rather than brightened by the mushrooms; and the thin chicken strips were bland. Until the next menu revision, I'll stick to their brunch, which is superb. Great neighborhood spot with good food & drinks! This was our fourth or fifth time at Finn Town and probably our last. While the decor is pleasing and the atmosphere is convivial, these elements did not make up for several shortfalls. We arrived on time for our reservation and the hostess was literally surly as if it was inconvenient for her to seat us. The cocktails were very skimpy. When you order a martini straight up you expect the cocktail glass to be at least 90% full. Ours were about 75% and they were not inexpensive. One of our dining companions ordered a vodka on the rocks and when it arrived, it looked as if that little puddle at the bottom of the glass was melted ice, but no. It was the vodka. Our food arrived all at once; appetizers with entrees. When we asked to have the entrees returned to the kitchen until we were ready, they were whisked away promptly enough. However when they were served to us at the proper time, they were cold. There is no excuse for this kind of unprofessional service in a restaurant like this one. There are too many other good restaurants in the area that hire professional service personnel, pour a healthy drink, and appear to be welcoming when you arrive. Finn Town is not one of them. Food is quite good. Service is atrocious. We waited about 15 minutes to get our orders in, and about 25 minutes to get our check and pay.